Pre-registration is closed at this time. Limited walk in registration will be avalible. Join the Women in Business Council for our quarterly luncheon on Wednesday, March 6 at the DoubleTree Hotel by Hilton with speaker Rita Barreto Craig. The average American puts in 1800 hours at work each year, but the ?to do list? never seems to get done! You are doing more with less, running from one meeting to the next, wanting to advance your career, but feeling like you don?t have the time or ability to do so. On top of that, you need to upskill, reskill and upskill on a continuous basis to survive. To be successful today, you need to have a passion for change, love to live in the grey and never stop learning! Discover the secrets to success and how you can excel in today?s ever-changing environment. Rita Barreto Craig teaches leaders how to build winning cultures, deliver results and maximize performance. With a long list of impressive companies who have benefited from her talents and vast experience, Rita formed Top Tier Leadership more than 20 years ago after working 23 years in the corporate world. She has a passion for helping others and remains very involved in her community, serving as Vice Chair of Discover the Palm Beaches. Rita also has four gubernatorial appointments and currently serves as Vice Chair of the Florida Commission on the Status of Women. A master in the art of listening and communicating, no two clients, keynote addresses or coaching sessions are ever the same for Ms. Craig. Each is treated with a personal approach to fit the client?s needs. Her ability to connect with each client to provide relevant content and measurable results consistently rewards her with top ratings from attendees around the world. Her keynote speeches are engaging and leave her audience wanting more. Her expertise has not gone unnoticed. 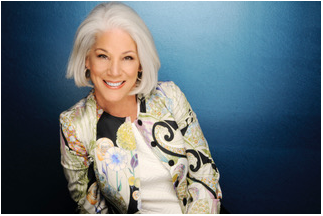 She is the recipient of three inaugural Lifetime Achievement Awards from the Florida Speakers Association, the Human Resource Association of Palm Beach County and the South Florida Business & Wealth Journal. A not so pretty golfer, adventurous traveler and self-described "collector of hearts", Rita draws from her extensive experience as well as the strength of her loving family ? ten siblings -- to help people reach their ultimate potential ---- the right way. As Rita puts it; "It's about being your personal best ---- treating everyone with respect, doing the right thing when no one is looking, striving for new heights. *Pre-registration will close at 12 p.m. on Tuesday, March 5.